Pune: Spiritual leader Dada J P Vaswani, head of the Sadhu Vaswani Mission, passed away today due to old age- related ailments, a mission member said. He was 99. He had been admitted to a private hospital in the city for the past few days and was discharged last night in the emission premises this morning.The mission was planning a big celebration on his 100th birthday next month. 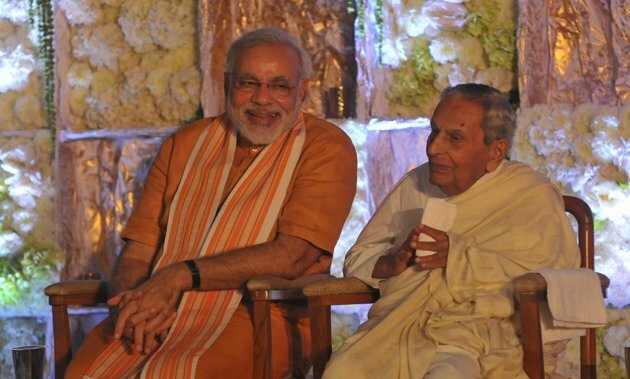 Born on August 2, 1918 in Pakistan’s Hyderabad city in a Sindhi family, Dada Vaswani, as he was popularly known, was the head of the Pune-based Sadhu Vaswani Mission, a non-profit organisation involved in social work and charity. The organisation runs educational institutions and hospitals in Pune. Prime Minister Narendra Modi had addressed the spiritual leader’s 99th birthday celebrations last year through a video link. 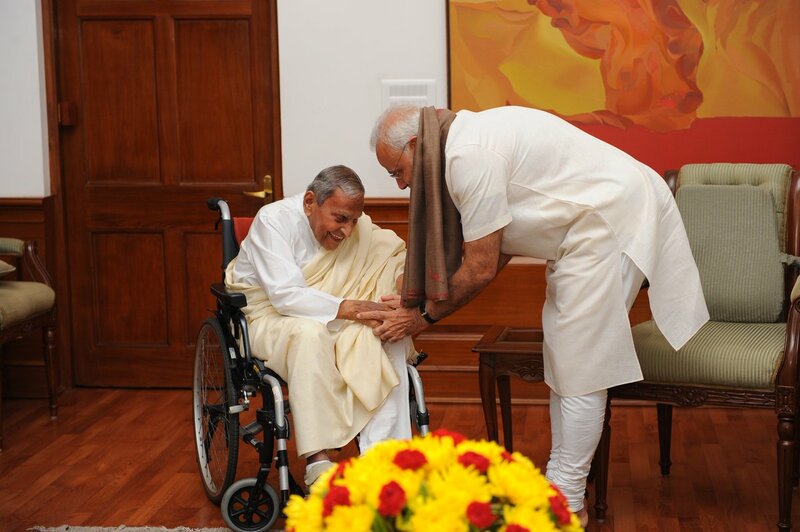 Modi had then said Vaswani’s blessings will help in accomplishing goals for a new India. In May this year, President Ram Nath Kovind had visited the mission to inaugurate the Sadhu Vaswani International School. The Prime Minister also posted his photographs with Dada JP. "Modi has a soul of a sanyasi who has dedicated his life in service of the nation"